As Americans we owe a great debt to those who put their lives on the line for our freedom, and to their families who bear the burden on the home front. 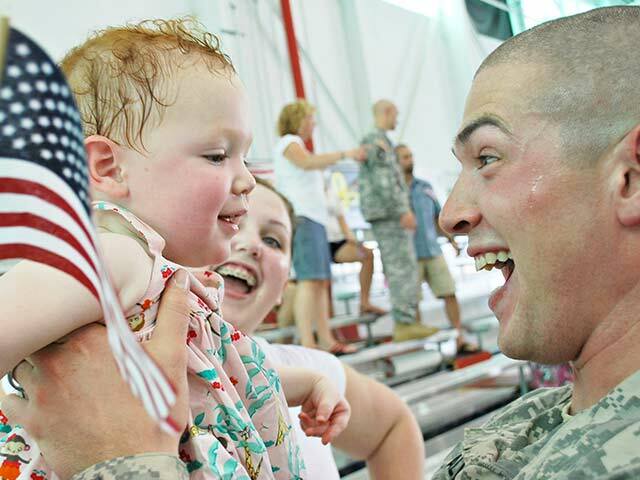 Military families face tough circumstances on a daily basis and sometimes need a fresh start to meet their challenges. Many of these talented men and women earn far less than they would if they had pursued a career in the civilian world. As a result many often struggle to meet the needs of their families. Churches need help caring for the military families in their congregations. As a CBN partner, you are showing God's love to our military heroes. And your gift does so much more! Whether extending arms of compassion to victims of disaster, feeding the hungry, healing the sick, or broadcasting the Gospel, each gift changes lives here in America and around the world.